Xuereb (L. Buttigieg), J. Tabone, J. Polo Longarela, A. Oularbi, K. Mercieca, C. Hili (D.Hili), D. Mercieca, A. Camilleri, N. Damba, K. Grima, L.A. De Melo Lima. Vrndic, D. Cassar, A. Azzopardi (C. Caruana), M. Hrubsa, J. Buttigieg, E. Vella, N.P. Mercadante Leite Do Canto, J. Grech, J.P. Mizzi, N. Mercieca, F.A. De Oliviera. In the reply match between Ghajnsielem and Kercem Ajax, that was abandoned due to heavy rain, Kercem Ajax seemed heading towards a surprise win over Ghajnsielem, but the latter managed to clinch a dramatic equalizer and defended heir unbeaten run since the beginning of the championship. The final score rewards the efforts of the two sides who prevailed over the opponent for a half each. Kercem were undoubtedly the better side during the first period when they scored two early goals that filled the inexperienced side with confidence for the rest of the match. The Ajax started the match with the same formation as they did in the match between the two sides that was abandoned, and their coach Alexander Simoncic was proofed right as the changes in all departments were very effective. However, Ghajnsielem produced a determined reaction after the break and they insisted to recover the deficit despite the fact that Kercem’s keeper Branko Vrndic made a series of fine interventions to deny Ghajnsielem’s strikers from scoring. With this result Ghajnsielem earned their third draw with an identical score from four matches, while it was Kercem’s first positive result in the championship. Kercem had an excellent start and could have opened the score in the fifth minute of play when Neto Pedro Mercadante Leite Do Canto entered Ghajnsielem’s area with a personal action but his shot ended on the side of the net. However, the Ajax opened the score two minutes later when Joshua Buttigieg passed to Neto Pedro Mercandante Leite Do Canto who turned around a defender and netted with a fine shot towards the far post. Ghajnsielem failed to produce a reaction and on 15 minutes Kercem won a penalty following a foul by Kenneth Mercieca on Neto Pedro Mercadante Leite Do Canto and Felipe Augusto De Oliviera doubled the score for Kercem with the shot from the spot kick. The Blacks replied on 18 minutes but a header by Kurt Grima from a good position following a cross by Kenneth Mercieca missed the target and on 32 minutes Ghajnsielem’s James Tabone entered Kercem’s area with a personal initiative but hit badly in an attempt to cross towards the goalmouth and the ball ended wide. Two minutes later Kercem’s goalie Branko Vrndic was called to make a good save to deny Luis Andre De Melo Lima from scoring with a header following a cross by Kurt Grima and on 43 minutes the same De Melo Lima concluded badly following a cross by Naby Damba so that the goalkeeper saved without difficulty. In the second minute of stoppage time before half time Ghajnsielem’s Naby Damba had an attempt directly from a free kick that missed the target. The match became more exciting after the break as Ghajnsielem produced pressure on Kercem’s rearguard in an attempt to recover the score while Kercem defended with great character. On 47 minutes an attempt by Luis Andre De Melo Lima was neutralized by Kercem’s keeper and one minute later the same goalkeeper made a difficult intervention to turn to a corner a shot by Antoine Camilleri. On 49 minutes Kercem’s goalie Branko Vrndic was well placed to save an effort by Naby Damba and the same keeper was again called to make an important save on 64 minutes to turn to a corner a cross shot by Kurt Grima. 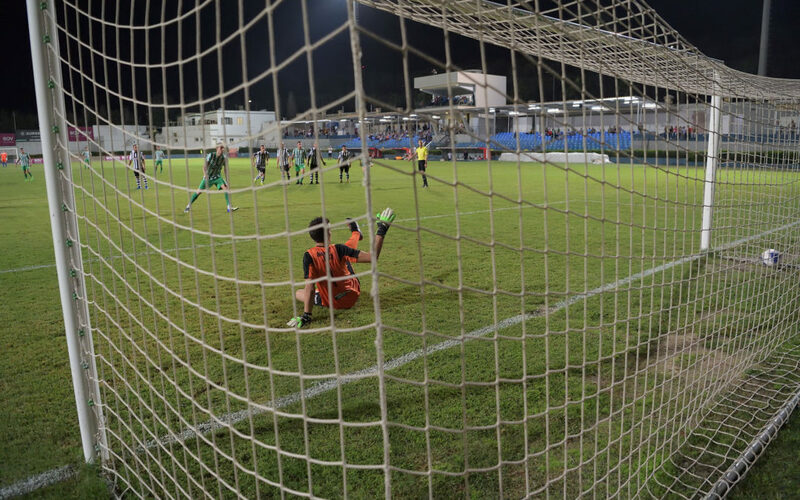 Ghajnsielem increased their pressure on Kercem’s defense as time passed by and on 68 minutes goalie Brank Vrndic made a difficult save to turn to a corner a close ranged header by Luis Andre De Melo Lima following a cross by Naby Damba. 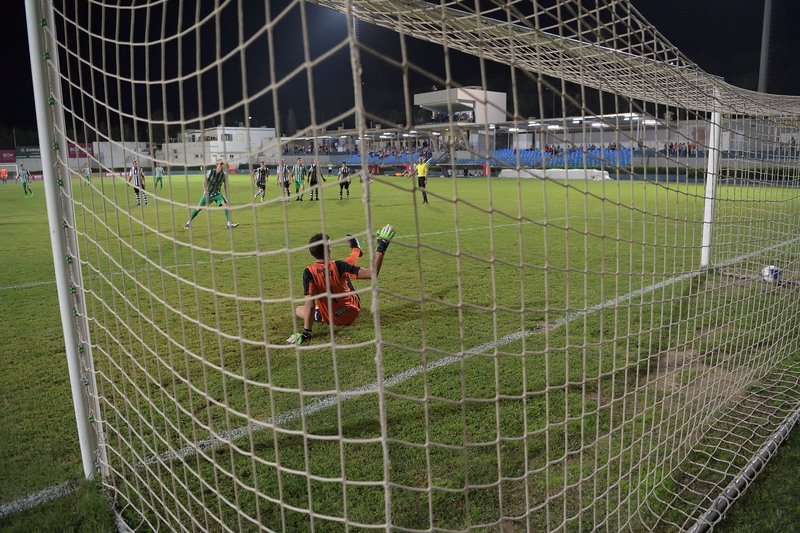 Kercem could have increased their lead and sealed the issue three minutes later when Joshua Buttigieg entered Ghajnsielem’s unprotected territory but substitute goalkeeper Luke Buttigieg left his position in time to clear the danger before the young striker could hit towards an open goal. On 73 minutes Ghajsnielem had a goal by Kenneth Mercieca that was disallowed for an offside infringement and five minutes later the Blacks re-opened the issue with a tap-in by Luis Andre De Melo Lima following a low inviting cross by Naby Damba. Kercem had an immediate reaction but on 80 minutes they failed to capitalize from an open scoring opportunity as Ghajnsielem’s keeper missed the ball following a cross form the right flank but central defender Dylan Mercieca recovered in time to clear the danger to a corner before Joshua Buttigieg could hit into an open goal from close distance. Ghajnsielem leveled the score in the first minute of stoppage time through a close range header by James Tabone following a corner kick by Ali Oularbi. Kercem were demoralized and in the fifth minute of stoppage time Ghajnsielem could have turned the result in their favour but an attempt by Antoine Camilleri from a melee in front of Kercem’s goalmouth was blocked to a corner by Kercem’s central defender Martin Hrubsa.